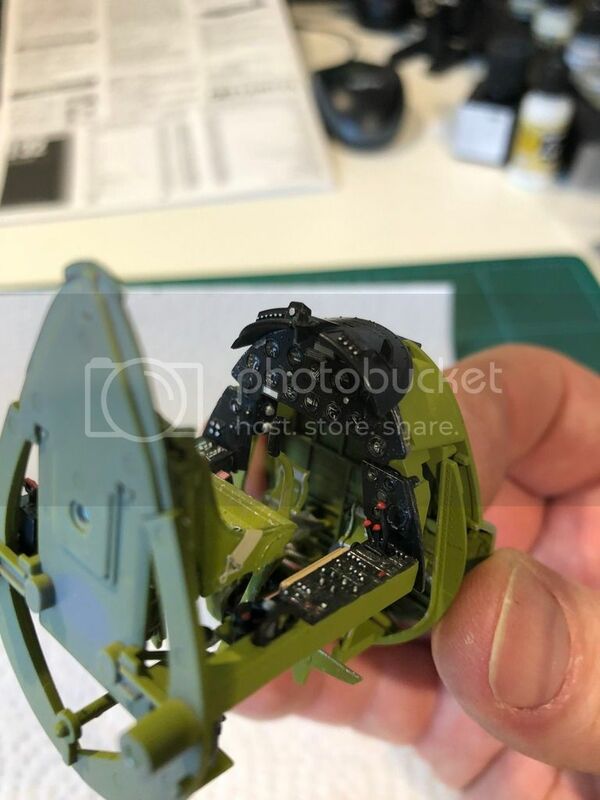 After the disaster of the Trumpter F4u-1D build and the ridiculous wing arrangement, I've decided to jump straight back on the horse and build another Corsair... this time Tamiya's offering. First impressions were that it's not much different to the Trumpter offering... Right up to the point where I found the decals and instruction manual AND full colour reference photo book. I was sceptical before buying the Tamiya, due to the fairly substantial hike in price, but I think that Tamiya can utterly justify their price. The quality of moldings and lack of flashing and release pin marks is unbelievable. 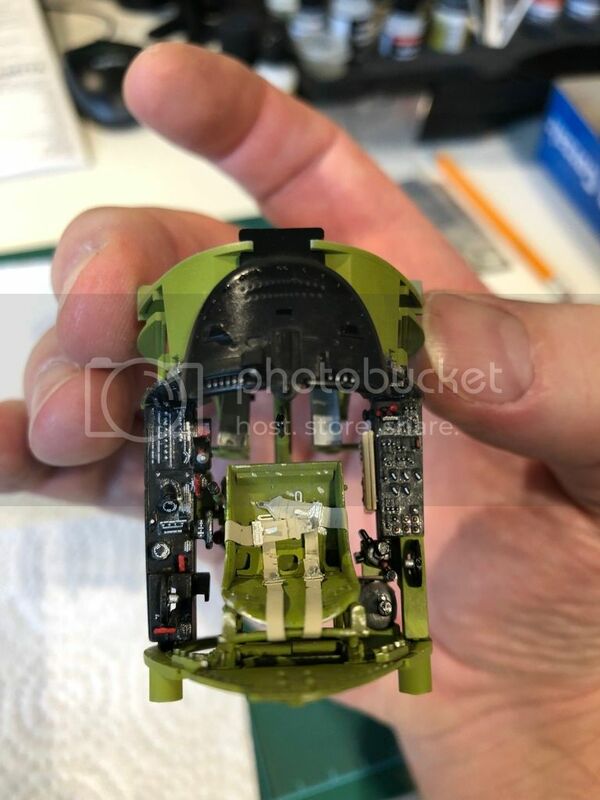 The level of detail of the cockpit alone is the best I've ever seen. I apologise in advance to using John1's build as inspiration, If mine ends up 1/10 as well as his did, I will be a very happy man! 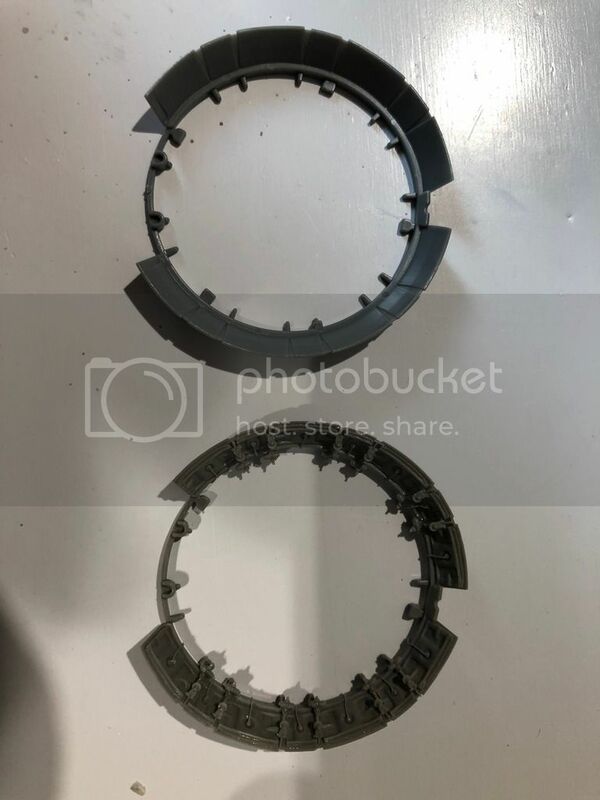 I have purchased the cockpit decal set and resin wheels from Baracudu and the cowl kit from Vector to enhance this build, but other than that I will be doing no scratch building, just enjoying the build. I will post pictures of progress to follow. Thanks for looking and I welcome any tips or critism, good or bad. I think you'll find Tamiya-san's F4U LIGHTYEARS ahead of your last experience. Tim, it’s pricy. I think I paid around $150 (can’t recall for sure). All I can tell you is to me, it was well worth it. Wooo, that's a little much. No doubt it's well worth it. Hawkwrench, the engineering is incredible, really well though out. Plus the instruction manual is accurate and easy to follow. An utter joy to assemble and paint, the tiny decals from barracuda were quite fiddly, but well worth the trouble. They really bring the cockpit to life! I really like the seatbelts as well, however I found it incredibly difficult to bend them convincingly. Any comments, criticism good or bed are welcomed thanks. Indeed. I have to say, arguably one of the best fitting kits in any scale, and as worth it as any kits Ive purchased. I really like the seatbelts as well, however I found it incredibly difficult to bend them convincingly. Even though they are painted PE, I would highly recommend annealing them with a small hand held torch or lighter, and then cleaning and painting them from there. Annealed PE belts perform more like lead sheet belts after annealing; MUCH easier to bend and conform, with none of that PE "springiness"
Out2gtcha, thanks for the tip and the kind words. These belts were actually unpainted so the annealing process wouldn't have harmed them! Is it just a case of heat them and allow to cool, or heat them and quench? Is it just a case of heat them and allow to cool, or heat them and quench? I like to use a small pencil torch I picked up from home depot. But yes, a quick run though the torch or lighter till black, then a quench in water, wipe off the black marks and you should be GTG! I've found they cooperate MUCH more. A cigarette lighter works too, but need just a few more seconds under the lighter than with a torch. If you do pick up torch, just keep the time in the flame short, as I found it doesn't take long to get things TOO hot. 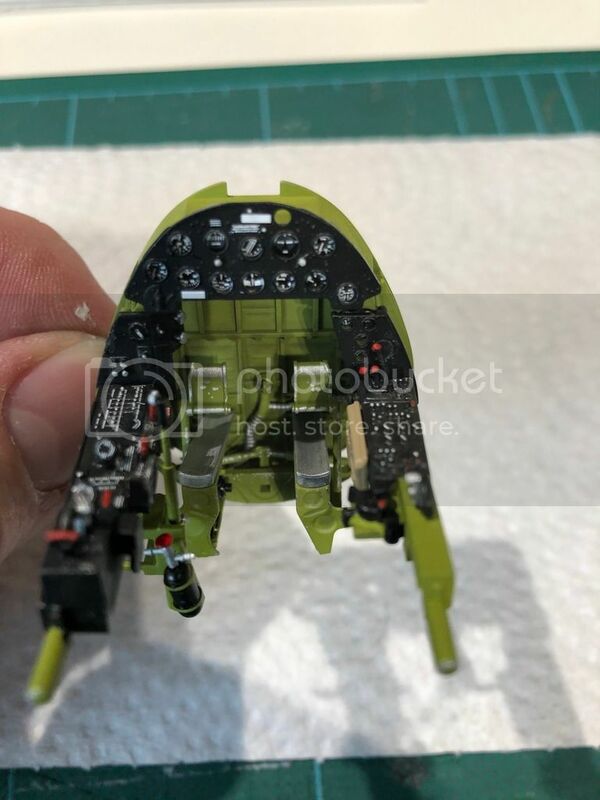 That cockpit is looking great, by all accounts the Tamiya Corsair kit is way superior to most other kits, apart from other Tamiya super kits that is. I'm truly honored. From what I've seen, your work looks fantastic. Honestly, don't worry about trying to match anyone else's build. Before starting mine, I looked at some of the awesome Corsair builds other folks have posted and was thinking about not even starting mine since I'd never get close to their level. As long as you are having fun and learning some new tricks, that's all that matters. My only word of advice is to take it slow with the Vector cowl flaps. Do a lot of dry fitting to make sure the Tamiya cowling covers fit w/ no gaps. 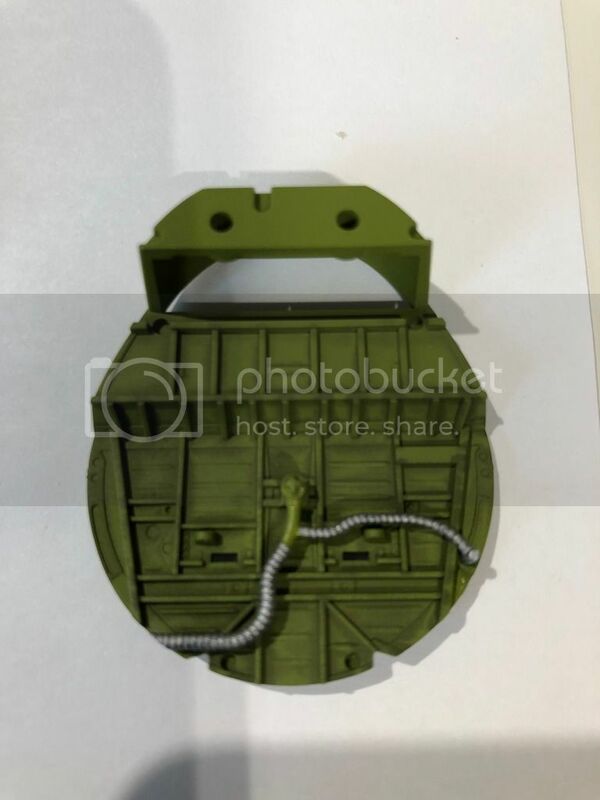 You might have to thin some of the resin and widen the holes that mate with the Tamiya parts. Hard to explain but you'll see once you get to that stage and dryfit everything together. It's a lot of work but the end result is really worth it. Thanks for all the kind words and advice so far, it is very much appreciated. I have reached a bit of a stall, for now, due to the Vector cowl parts not being delivered yet, as they are coming from the UK. 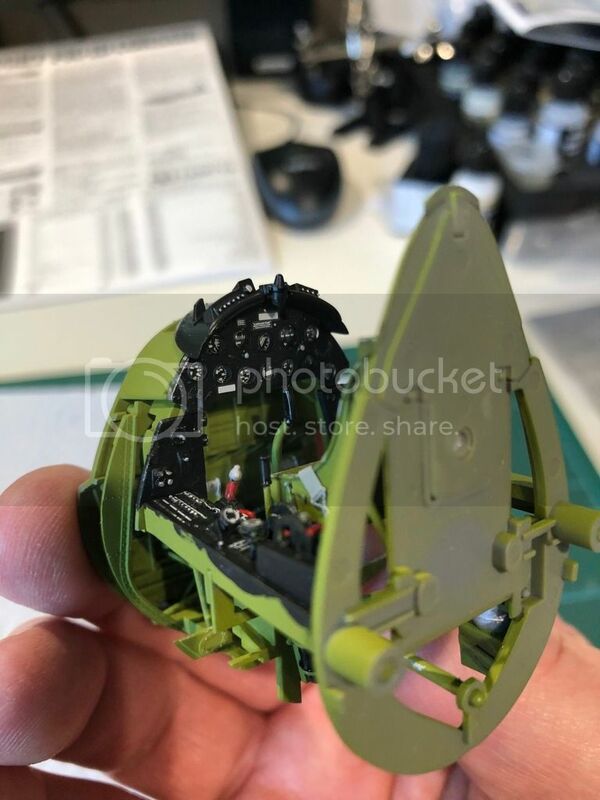 I will be building a Tamiya, birdcage F4u-1 Corsair at some point in the near future and was wondering if the vector cowl is compatible with that kit. If so, I'll just continue on with this kit, out of the box as I can't really afford to go hyper detail on both models. Looks great so far, cockpit is awesome. I’ll be following closely. Not much progress to report I'm afraid... Work keeps getting in the way! I haven't decided how to tackle the removal of the existing ribs in the Tamiya cowl front piece... any advice would be greatly welcomed. I've made a start on the engine (another Tamiya work of art! 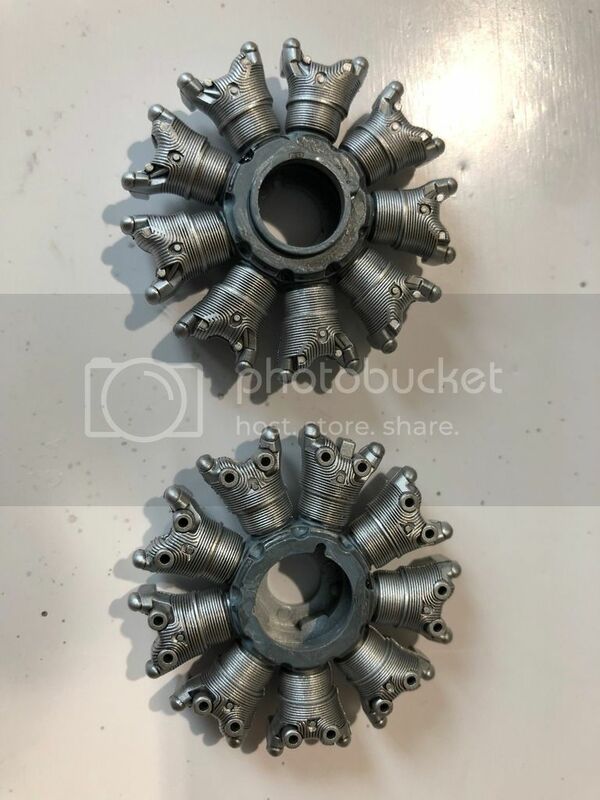 I shot tamiya flat aluminium on the cylinder heads, painted the crank case grey and then gave the whole lot a black wash to pick out the fin detail... looks ok to me! 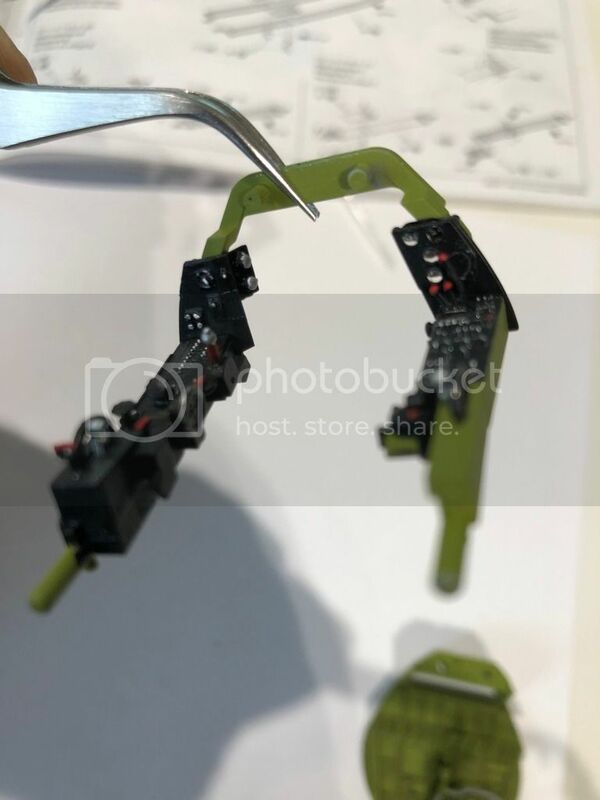 I made a start at attempting to add the HT leads to the Vector part. 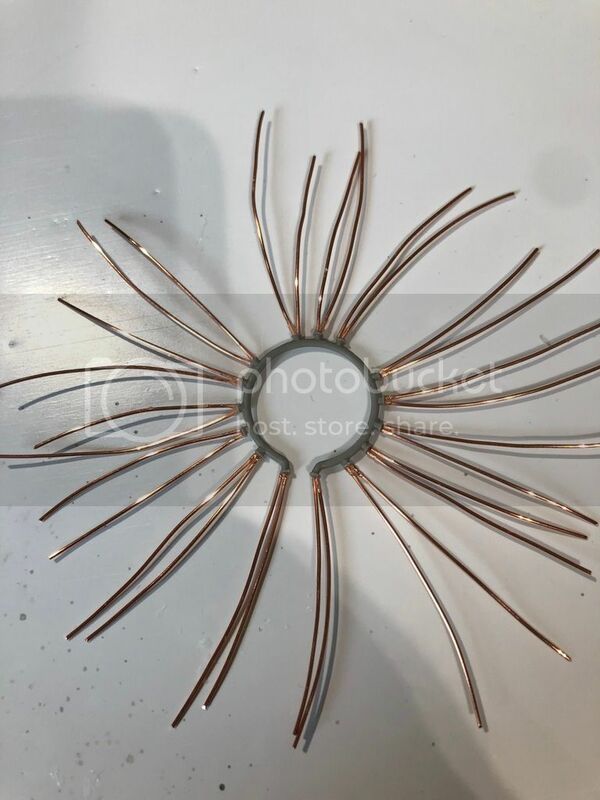 I think this copper wire is a tad too think, but it's all I have. If I'm not happy with it, then I'll revert to the kit part. That's all for now... thanks for looking.